Instant Streaming & HD DRM-Free Downloads. Scroll Down for All Packages. BUILT FOR HUMANITY... DESTROYED BY GREED. Nearly a century ago, Nikola Tesla dreamed of sending free wireless energy from a mysterious tower and lab on Long Island called Wardenclyffe. Deteriorating for decades, the remains of his great work were almost lost forever. Until a grateful world united to save it. With an historic internet campaign to save his lab, a new feature film on the horizon, and international media attention, Nikola Tesla is transforming from cult-hero to mainstream icon. Perhaps one of the most interesting aspects of his life revolves around a small building in Shoreham, NY called Wardenclyffe. Tesla’s hope for humanity there ultimately withered into a site of broken dreams. But today, the property has become a symbol of unity and hope thanks to the support of the international community on a mission to preserve the nearly forgotten inventor’s legacy. History was saved, one click at a time through the use of web-based philanthropic crowd-funding in the hopes that Tesla’s dream at Wardenclyffe would continue. 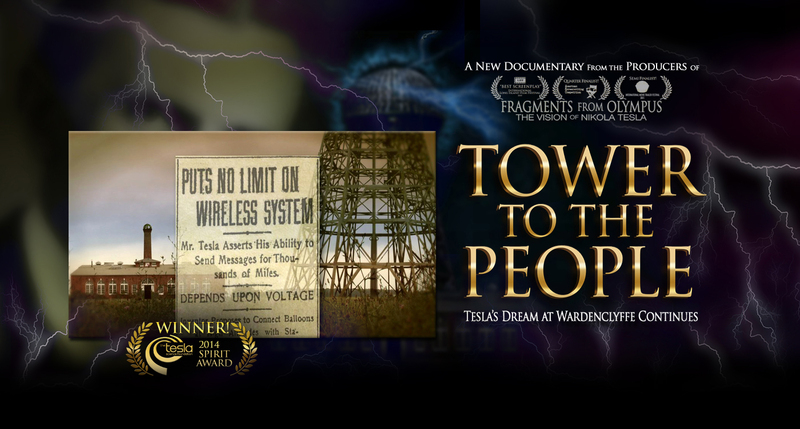 “TOWER TO THE PEOPLE” is the culmination of over 15 years of research into Nikola Tesla’s work conducted by filmmaker/co-author Joseph Sikorski and co/author Michael Calomino. The two-hour documentary details the struggle of the visionary scientist who dreamed of connecting the world while providing wireless energy to even the most remote places on the globe from his Wardenclyffe lab. Though Tesla was forced to abandon his dream there, almost a century later a new generation picked up the torch, hoping to rescue the historic property from decay, and preserve it forever. The tragic narrative of Tesla’ s humanitarian endeavor becomes inspirational through the stories of various groups of dedicated people, who by using technology Tesla himself helped develop, ultimately saved this historic symbol from extinction. From a local non-profit organization, to a popular web-comic known as 'the Oatmeal', to the generosity of people throughout the world, "TOWER TO THE PEOPLE-Tesla's Dream at Wardenclyffe Continues" documents how the world united to correct a great historical injustice, and help vindicate a nearly forgotten inventor’s long, hard struggle. 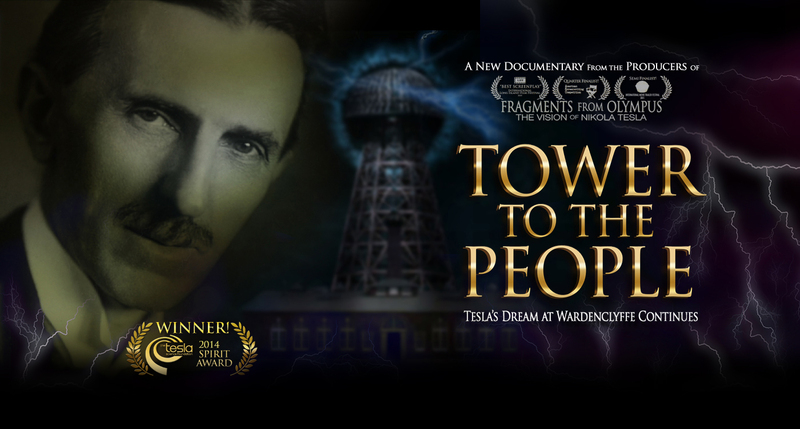 Featuring interviews with celebrity magician Penn Jillette, the Oatmeal's Matthew Inman, Tesla relative William Terbo, Peabody Award-Winner Jack Hitt and many other distinguished guests, “TOWER TO THE PEOPLE” shows the mysterious past, uplifting present, and exciting future of Nikola Tesla's last remaining lab on the planet. “TOWER TO THE PEOPLE”, through support by the Nikola Tesla Museum in Belgrade and The Wardenclyffe Project, not only includes iconic Tesla imagery, beautifully restored and in a resolution never seen before, but also shows rare photographs never viewed beyond the elite collection of the Belgrade archives. Viewers will also experience simple demonstrations of wireless energy and transmission concepts which help to illustrate the scientific principles Tesla intended to use in easy-to-understand language. Perhaps most intriguing though is the first on-site investigation into the legendary Wardenclyffe tunnels allegedly built by the enigmatic inventor as part of his wireless power transmission method. The existence of these mysterious subterranean passages, dismissed by many as urban myth, are explored through the use of cutting-edge ground-penetrating radar. We invite you to experience the tragedy and the triumph of Nikola Tesla's lab at Wardenclyffe. 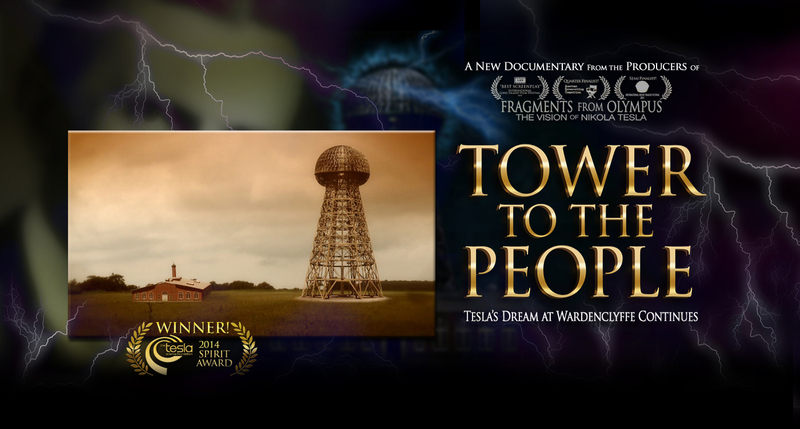 Own the streaming version of "TOWER TO THE PEOPLE-Tesla's Dream at Wardenclyffe Continues" and watch online anytime! 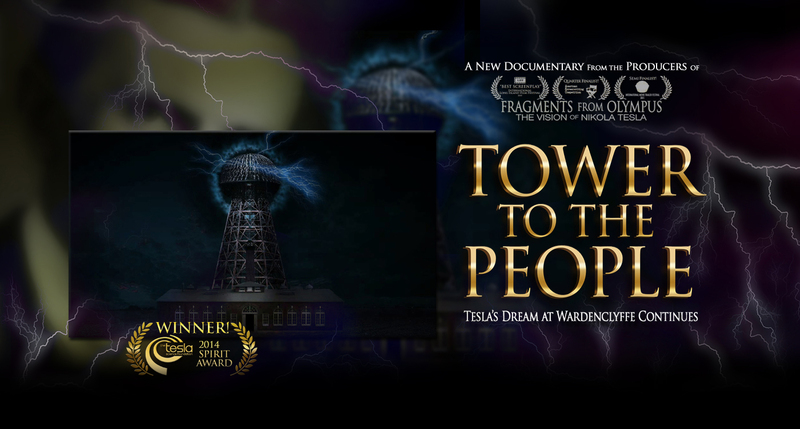 Own "TOWER TO THE PEOPLE-Tesla's Dream at Wardenclyffe Continues" as a DRM-Free digital download, playable on most smart tv's/accessories (like AppleTV & ROKU) and mobile devices. Naruči “TORANJ LJUDIMA – Teslin san o Wardenclyffeu se nastavlja” kao digitalni paket preko VHX.com!